Brentford have announced the signing of South Africa midfielder Kamohelo Mokotjo. The 26-year-old has cost the Bees £880,000 (€1m) from Dutch club FC Twente, according to Sky sources. 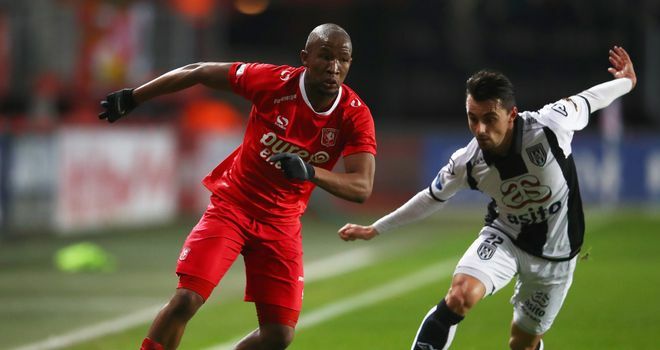 Mokotjo completed a medical on Thursday and finalise personal terms after flying to London to become Brentford's third senior signing of the summer. Rasmus Ankersen, Brentford's co-director of football, said: "We have been scouting Kamo for two years and we believe he is a perfect match to our style of play. "We are really pleased that it was possible to come to an agreement with Twente this summer and especially that we could sign him early in the window. "It means that he will be able to travel with the rest of the squad to pre-season camp on Saturday to take part in the important preparations for next season." The six-time capped South Africa international has made over 100 appearances for Twente since a move from PEC Zwolle in 2014. He began his career at SuperSport United in his home country before moving to Feyenoord in 2009. Mokotjo is set to become the Bees' third senior signing this summer after goalkeeper Luke Daniels and right-back Henrik Dalsgaard.